Hoping someone with experience in many different type of mold making materials could give me a better idea of what would suit this specific project needs best. 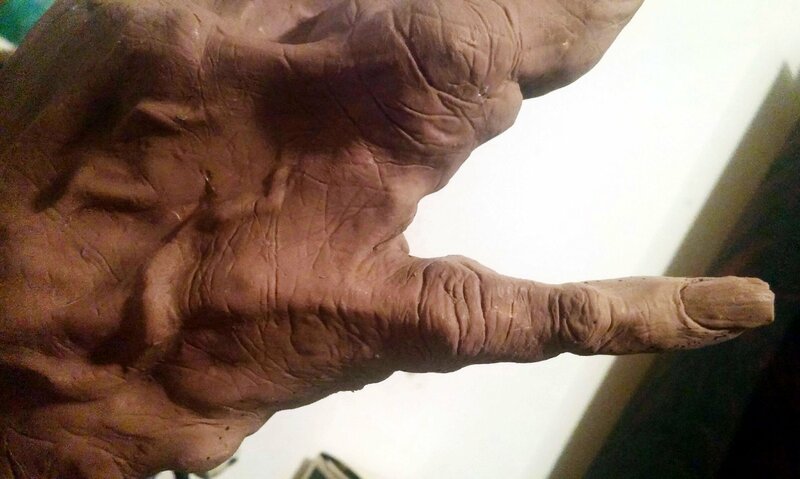 Here is the purpose of this project and mold: Doing a test run for an animatronic hand. I've done the sculpture in Monster makers oil based clay, The goal is to have silicone skin that I can slip over the cable mechanisms and mechanical insides. I will only need to use the mold to create one to two skins (casts) and needs to be able to capture very high detail. Also I need to be able to put clay into the mold in areas that I need thicker and thinner for the "skin". pour in plaster to make a core mold, take the mold apart, remove the clay and float cast the final skin between the mold and the core mold (Hope I explained that clearly). I did some research and have watch most of the mold making lessons here and I'm not sure What would be my best option, I thought Hydrocal would be a good option but than I learned about Fiberglass molds and thought that might be better for detail, The main thing is I want to be able to capture all the details in the sculpture, the longevity and multi-use of the mold means nothing to me for this project. There may also be a better process out there I don't know about, so any advice is good. For a project like this I would normally do a 2 part fiberglass/epoxy mold with a core. But as you mentioned, you don't need to run a lot of pieces. If you are new to mold making, don't need to run a lot of castings, and want to save a bit of money, I would use something like Ultracal 30. Hydrocal is ideal if you plan on casting in liquid latex, as Hydrocal is a bit more porous than Ultracal and helps liquid latex form a skin. But if you want to cast anything else I would suggest Ultracal 30 with a bit of hemp or burlap for strength. Just remember to reinforce the outer layers with something like hemp fibers or burlap. Puuuurfect, thank you @Chris Ellerby! 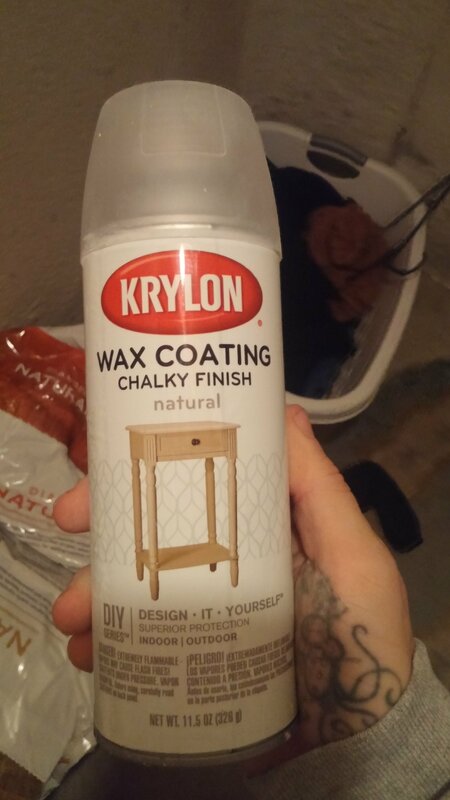 I've been doing a lot of research and think I might be ballzy with this one and try to mix my own formula I was the thinking 85% gypsum stone (drywall mud) and %15 Rapid set Cement all. If this theory is correct I should have a mix much like Ultracal 30. Thoughts? There's no reason you can't try your own formula. But when trying something new I always like to do a low risk test first. You may want to test your formula on a sculpt you are ok with potentially losing should the mold not turn out. @Chris Ellerby thanks! I ending up doing a 1 to 4 mix by mass with 1 part cement all by rapid set and 4 parts plaster of paris. Did a few small test runs and it seemed to come out like a charm got a lot of detail and holds up well. Going to wait a few hours or even let it set up over night before demolding. I am trying to remember one of the lessons covered a sectioned core for making hands with. Wish I could remember that. But I really love your details with the veins etc. @David Boccabella Thanks, that would be "handy" to know. Let me know of you remember. Also found somthing that worked really well, instead of car wax I used this spray wax, used a few layers of clear coat then sprayed this clear wax on a paper plate and with a soft brush thinly applied it to the sculpt, I applied it heavly to the mold walls, when it came to denolding both sides of the sculp popes out like butter, about 5 mins of clean up was all that was needed. Its a good subsitute if you can't find blue wax. I got mine at Michael's. Here is an example of a collapsable mold core that may help you a bit. This core breaks down so you can remove it when casting up a skin inside a 2 piece mold. If the core were solid (not collapsable) you would have to stretch or tear the casting to remove it, and possibly lock the mold up if not careful. @Chris - I'm about to start modeling creature gloves (for a ninja turtle costume), and am trying to plan out the casting process. Do you have any tips on using a core? Specifically what to do to make sure the core sits properly in a hydrocal mold? I figure I'll use the original mold of my hand (modified to be breakaway) as the core. Alternatively, would slip casting work? As far as how you make sure the core sits properly in the outer mold, here's how that can be done for hand/glove sculpts. When you make the outer mold it should be designed to hold/support the base of the core so it will be positioned properly during casting. This example image may help to visualize that. Just ignore that it's talking about a silicone mold, as you would want to use a stone or resin mold for casting silicone/latex gloves. The light peach colored piece would be the mold core. You can see that it has a wide base that locks into the outer mold so it always centers properly. Also note the example video I posted above that shows how a mold core for hands can have removable fingers so it holds in place during casting but comes apart for demolding. As far as slip casting goes, you can totally cast up latex (or even rotocast silicone) into the mold without a core. You just need the material to be thick enough to account for the thickness of your original sculpture, so the glove does not fit too loosely. But if you are looking to save money on molding and casting materials you could always cast up your gloves as a latex skin by dwelling latex in a stone mold, and then using foam padding to support loose fitting areas of the gloves. How or if that coreless process would work depends on your sculpt though. But for a good fit, having a core is ideal.